1IMR　Tohoku　Univ. 2The　Oarai　Branch. IMR　Tohoku　Univ. 1Interdiscipilinary　Graduate　School　of　Eng. Sci. Kyushu　Univ. 2Research　Inst.for　Applied　Mechanics、　Kyushu　Univ. 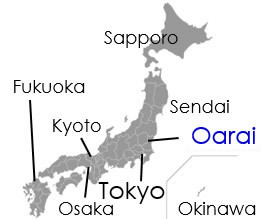 3The　Oarai　Branch. IMR　Tohoku　Univ. Research　Inst.for　Applied　Mechanics、　Kyusyu　Univ. aResearch　Inst.for　Applied　Mechanics、　Kyushu　Univ. bInterdiscipilinary　Graduate　School　of　Eng. Sci. Kyushu　Univ. aInterdiscipilinary　Graduate　School　of　Eng. Sci. Kyushu　Univ. aIMR　Tohoku　Univ. bResearch　Reactor　Institute、　Kyoto　Univ. Depart.of　Chem　and　Material　Eng. Shinshu　Univ. 2IMR　Tohoku　Univ. 3Depart.of　Chem　and　Material　Eng. Shinshu　Univ. aThe　Oarai　Branch. IMR　Tohoku　Univ. bDepartment　of　Phys. aNational　Inst. For　Fusion　Sci. bDepart.of　Quantum　Sci.and　Energy　Eng. Tohoku　Univ. H.Atsumi　Depart.of　Nucl. Eng. Kinki　Univ. 1Graduate　School　of　Energy　Sci.、　Kyoto　Univ. 2Japan　Atomic　Energy　Research　Inst. 1Research　Reactor　Inst. Kyoto　Univ. Depart.of　Nuclear　Eng. Graduate　School　of　Eng. Osaka　Univ. 1Kanto　Gakuenn　Univ. Ohta、　School　of　Earth　Sci. Kyoto　Univ. 1Depart.of　Chemistry、　Graduate　School　of　Sci. Tohoku　Univ. aInst.of　Advanced　Energy、　Kyoto　Univ. bDepart　of　Eng. Tohoku　Univ. cIMR　Tohoku　Univ　dResearch　Inst.for　Applied　Mechanics　Kyushu　Univ. fFZK-IMF　Karlsruhe　gPSI　Villigen　hUCSB　USA　iIAE　Kyoto　Univ. cJAERI　Tokai　dIAE　Kyoto　Univ. M.Sato　Natinal　Research　Inst.for　Mater.Sci、　Sengen、　bTahiland　Inst. 1Kanto　Gakuen　Univ. 2School　of　Earth　Sci. Kyoto　Univ. 1The　Oarai-branch、　IMR、　Tohoku　Univ. 2Laboratory　of　Nucl.Sci. 3Research　Reactor　Inst. Kyoto　Univ. 4Ggraduate　School　of　Nucl. Osaka. Univ. 5Graduate　School　of　Sci. Kanazawa　Univ. *IMR　Tohoku　Univ.、　**Cooperation　Research　Center、　Osaka　Univ. Research　Center　for　Materials　Science　at　Extreme　Conditions　Osaka　Univ. 1Depart.of　Physical　Science、　School　of　Eng.Sci. Osaka　Univ. 2The　Oarai　Branch、　IMR　Tohoku　Univ. 4Physics　Depart.、　Graduate　School　of　Science　Tohoku　Univ. Dexin　LI　and　Yoshinobu　SHIOKAWA　IMR　Tohoku　Univ.